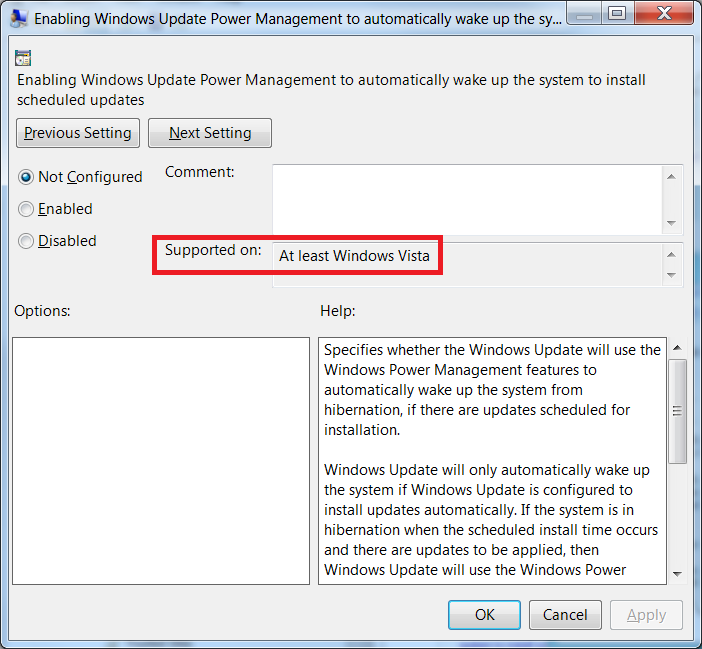 Can Windows Update update when a laptop is closed? To answer your question, yes as long as it is running and has an active internet connection. You might want to check the power setting under advanced settings to make sure the lid action setting is set to do nothing. Meaning there's a setting that shuts the laptop down after it's closed for a certain amount of time? ETA: My understanding is that Windows Update will wake a PC from sleep to check for updates. If enabled that happens immediately after closing the lid, a power saving feature. You will also either want to disable or increase sleep time. Here's a pic of a setting to wake the system to install updates ( I don't know the OS there) and I'd expect it to be enabled by default on any OS wouldn't it, for both security and user friendly reasons? I don't use automatic updates so I've never tried that. Is there a reason you don't update automatically? I think someone here once told me he didn't necessarily trust all the stuff Microsoft wants to install on your PC.